Evolution in the telecommunications sector has led to companies within it providing APIs for their products and services, allowing others to build communication services into their own service offerings. In order to support mass adoption of this new approach, consumers of these APIs (many of which are RESTful) must be supported by a reduction in the complexity involved with describing, finding, composing and invoking them. Existing efforts to provide automation have, in general, focused on WSDL services rather than REST services. 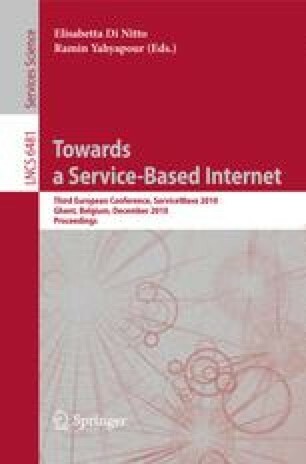 The paper explores the approach of the SOA4All project in supporting interaction with REST services which is being applied in a telecommunications focused case study.